The Jetsons had us believe that cars of the future would be hovering far above the roadways, piloted by their owners between buildings and plopping out passengers at their desired locations. But the actual future of automotive looks a lot different. In fact, it might not involve personal vehicles at all. That’s what rideshare and ride-hailing apps are gunning for, anyhow. 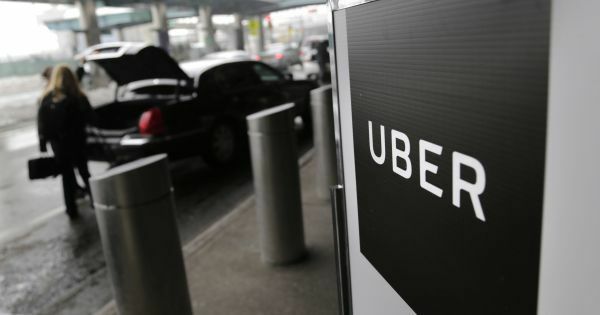 On March 1, 2019, Lyft, a ride-hailing app based in San Francisco, filed its S-1, the document required for a company to go public. Keeping in mind that this all comes from the brand itself, the document offered a fascinating and detailed look into its plans to disrupt the mobility sector. (Interestingly, General Motors owns eight per cent of Lyft.) According to the initial public offering, 30.7 million North Americans used Lyft in 2018 and of those, 52 per cent were using it to commute to work. Yesterday its initial public offering got off on the right foot with investors at US$72 per share. And Lyft is just one of the players challenging the norms of how we get around. In urban areas, cabbies are becoming obsolete (and angry, too) as residents opt for the convenience of rideshare apps like the aforementioned Lyft as well as its main competitor Uber. Other rideshare businesses like Car2Go and EVO, programs that let you borrow a car on an hourly basis and drop it off anywhere within a predetermined zone, are also making the trip from point A to B easier and more affordable than ever for some. Many Canadians are foregoing car ownership all together. There are incentives to use all of these services, too, with discounted fares and promotions the more you engage. Could this make new car production evaporate entirely? Unlikely. Are automotive manufacturers uncertain of their place in the future future? Highly plausible. Rideshare and ride-hailing apps are far from perfect, but here are five ways that they’re shaking up the mobility sector. Developers have been cutting down on parking stalls in certain new buildings across Canada, replacing them instead with spots for rideshare vehicles like EVO and Car2Go meant to be used by residents looking to take a quick-trip drives to IKEA or pick up groceries. In some new builds, garages have been completely eliminated. Calgary’s first-ever parking-free building, called N3 by Knightsbridge Homes, is a 15-storey complex that opened in 2017. In Toronto there are a growing number of condos without parking, like The Residences at RCMI. And it’s not just millennials opting to go car free. At N3 in Calgary, for example, there are a mix of residents, including retirees, according to the Calgary Herald. In its filing, Lyft estimates that over 300,000 of its riders have ditched their personal vehicle because of the app, noting that car ownership is the biggest expense for most Americans after housing. Unlike relying on public transit, ride-hailing eliminates the walk from home to the bus stop or subway station to office and takes you door to door. In the fall of 2018, Ford Motor Company, Lyft and Uber announced that they were banding together with new tech company SharedStreets. The collective goal: openly share public mobility data in order to create efficiencies within busy urban centres and make informed decisions on future city planning. Car2Go is suspended its Toronto operations because of City of Toronto parking regulations. Currently, Uber has launched its e-bike service, Jump (which it acquired last spring) in eight US cities, including New York and Washington with plans to expand next to Berlin. It’s also partnered with Lime, an electric scooter company, to offer on-demand scooter access. It’s hard to say whether this is correlation or causation, but as the ridesharing industry continues to grow, stats acquired by Business Insider suggest that new car sales are on a global decline. In Europe, sales have declined by six per cent while the States have seen a 10 per cent drop in car registration. Meanwhile the Society of Motor Manufacturers and Traders tracked an 18.2 per cent decline in new car production in Britain in January, the eighth consecutive month of decline. While rideshare apps will continue to influence the mobility sector, it’s the densely populated urban centres that seem to be benefiting most. A scooter ride along a Canadian concession road in March isn’t realistic. Still, we’re witnessing an exciting time in the automotive sector as needs change and businesses adapt. This is history in the making, people!